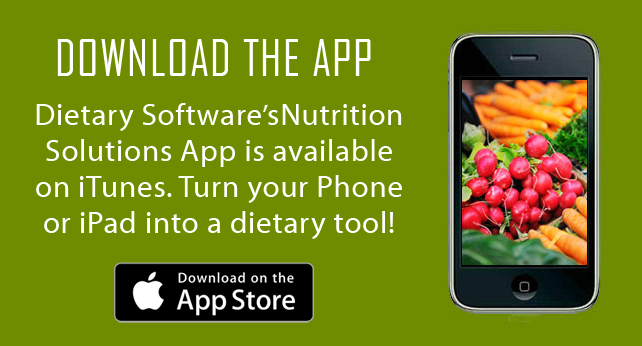 Dietary Software’s Nutrition Solutions version 5.1 App available now on iTunes turns your iPhone or iPad into a full function tool for dietitians and nutrition professionals. Calculation includes: Basal Metabolic Index (BMI), Basal Energy Expenditure with sources given adjustments available, caloric, fluid and protein needs given for variations for activity, injury, disease and wellness, weight change tracking. Full database of current Enteral formulas on one screen to apply "What-if" scenarios. 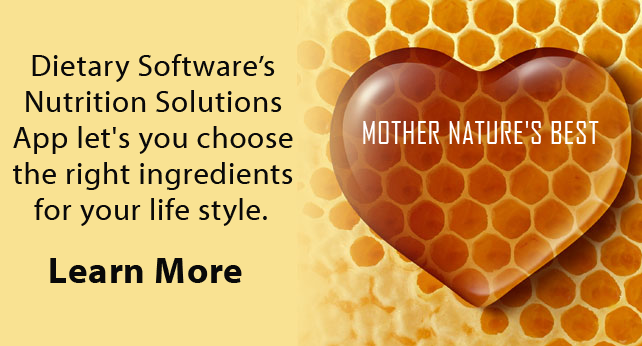 Offers nutrition results for hourly and daily rates, total volumes with or without custom flushes added, exchange list for Diabetic type diets with percentage carbohydrates, proteins and fat, Mg – MeQ conversions of phosphorus, calcium, sodium, potassium and so much more! 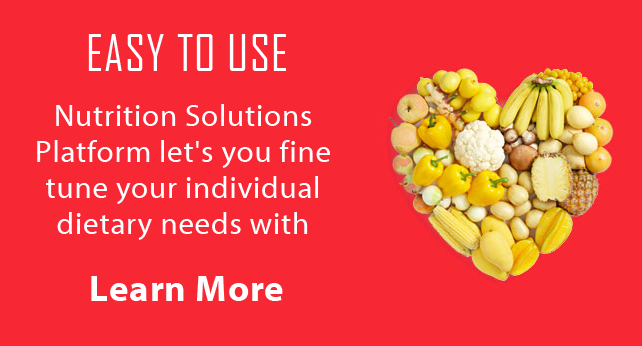 Fine-tune individual client needs with speed and accuracy with the Nutrition Solutions Platform. This comprehensive application predicts metabolic needs in the active or critically ill. Energy needs, protein needs, and fluid requirements are estimated in seconds. Enteral product breakdown, complete with flushes, all in one application. Learn more about why this App is a valuable addition to your work.